Teach To Stamp: Treasure Hunt! Late Night Stampers is having a treasure hunt! Enter to win great prizes...Stampin' Up! Merchandise! 4. Once you’ve collected all 50 clues, email them to ME at teachtostamp@gmail.com listing each clue & where you found it. Be sure to include your full name, email address, and blog address, if you have one. 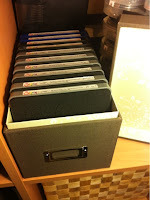 The Big Shot Storage Boxes come in three sizes, Large, Medium and Small (click on photos for more information). Each box comes with an insert perfectly sized to hold Big Shot Dies, but you're not limited to using them for dies! I hold all my classes in my living room and dining room, so I like my stamping supplies to be somewhat hidden for when we use that area for entertaining, These boxes are perfect for that! 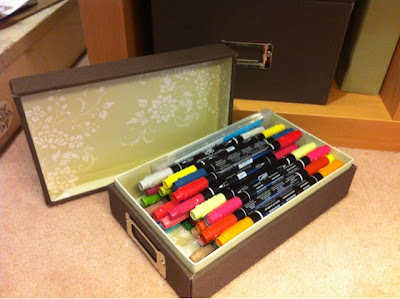 I do have dies in most of my boxes, but I also use one of the small boxes to hold all of my Stampin' Write Markers and Blender Pens, and they all fit in there! Here are the boxes in my storage unit in my living room. Not bad lookin' right? I'm considering getting a couple more boxes to hold odds and ends that can sometimes look messy when not contained, such as adhesives and embellishments like our Pearls and Rhinestones. I'm in the middle of a big clean and purge, so I'll decide what I need once that's done! How do you keep your stamping supplies corralled and under control? Your stuff looks really nice. Wish I was half that organized. Mine will start out nice and organized but then I buy more than I have room for. Maybe I should do a purge as well! 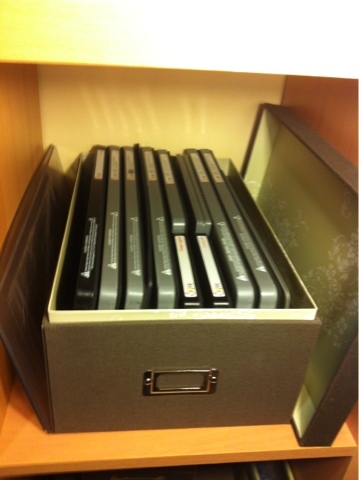 OMG Diane you are so organized and efficient. You've sold me on these boxes for sure! Thanks for playing along in the LNS Treasure Hunt, it's great having you on board! 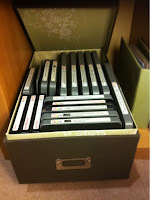 Thanks for the storage display! And thanks for the Hunt! Great blog! I'm glad to be participating in the LNS Treasure Hunt with you. I've never seen those, they certainly look nice in a neat stamping room! Thank you for all of your kind comments! I feel I need to make a disclaimer here--this is not all of my stamping supplies, only the storage unit that is in my living room. I have stamps, ink, ribbon, and 12 x 12 paper etc. 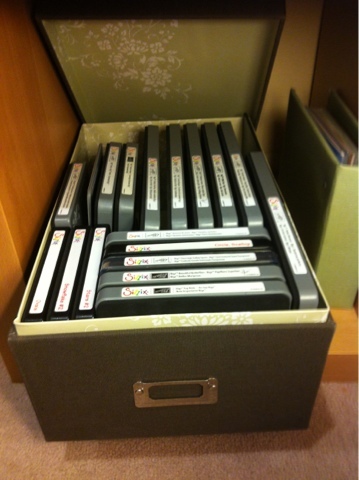 stored in another room! I should also tell you that my dining room table usually has half done projects all over it! 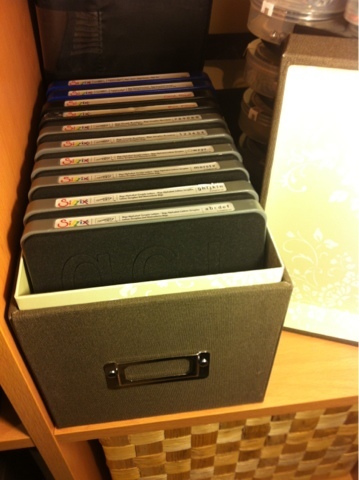 I love these boxes and your photos are great! Thanks for participating in our blog hop with us. Enjoyed looking through your blog. Thanks for the hunt. 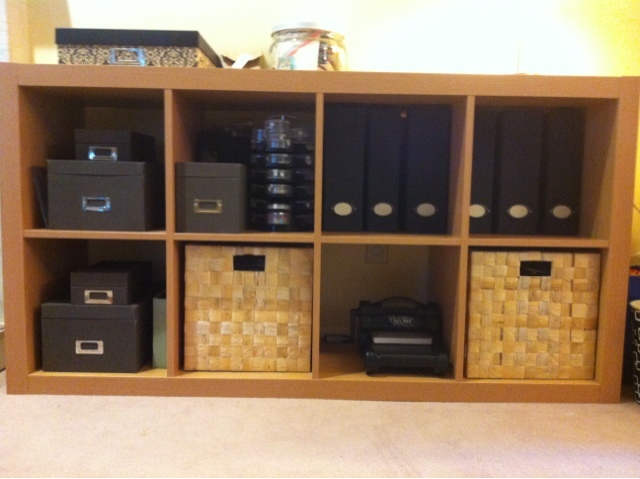 Love the look of your organized boxes! I just joined as a Canadian and still trying to figure out how to post everything. I will be added soon, just looking through some of the blogs to get ideas. 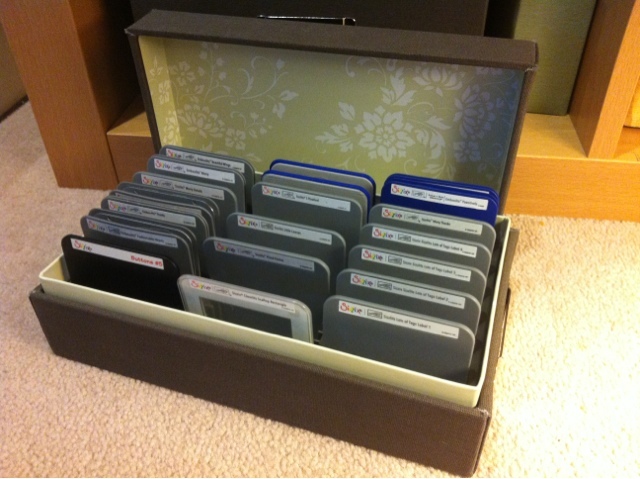 Love the look of your boxes - especially to hold stuff other than dies! I never thought to use them for things other than dies. 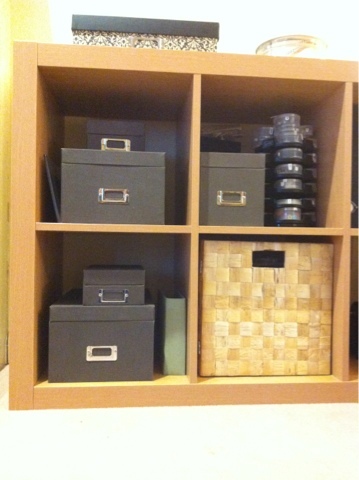 Great job showing pictures of all the sizes and ways to use the storage boxes. So glad you are participating in the Treasure Hunt!! Hello Diane, Enjoyed having a peek at your cards along the way and love those storage boxes. Smiles. Just sent you my completed list. Enjoyed checking out all the blogs. Cheers.